The goal of this volume is to begin to create those critical linkages between positive psychological attributes and relevant research areas. 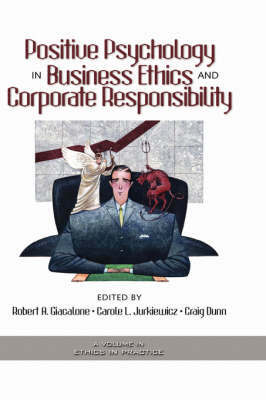 Undoubtedly, there are many topics in positive psychology that could not be covered in just one volume, and many more topical linkages to business ethics and social responsibility that need to be made. While much research yet needs to be done in this nascent area, we hope that much as other volumes on positive psychology served as an impetus for research in social psychology (see Snyder and Lopez, 2002) and organizational behavior (Cameron, Dutton, and Quinn, 2003), this volume will ignite scientific interest in the role positive psychology plays in key areas such as ethics and social responsibility. As the study of positive psychology continues to emerge more fully, it may well help us to better comprehend the impact of this paradigm on predicting ethical decision making, organizational citizenship, and social responsibility toward the end of creating more positive and productive workplaces in general.